He has his own uniform and everything. 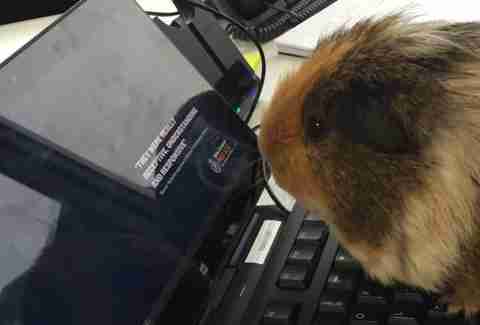 Elliot is a 4-year-old guinea pig who has lived with his family for most of his life. One of his parents works on the media team at the New Zealand Police Department — and decided to make Elliot an honorary member of the department. Elliot’s “official” role with the department is media spokesperson. 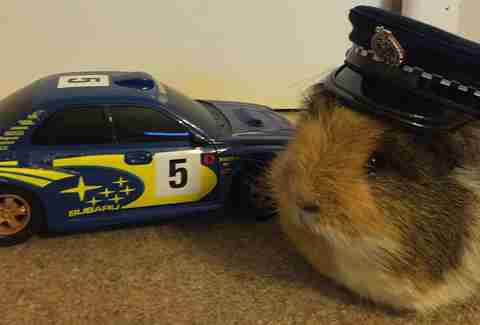 Every now and then he appears on the department’s Facebook page to talk about important issues, such as theft and safe driving. 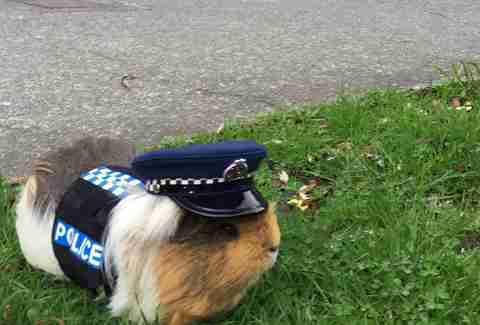 The sweet guinea pig also has his own uniform to wear when he’s spreading awareness and giving safety tips, including a little hat and a miniature version of the harnesses that the department’s police dogs wear. When he’s not on the job, Elliot loves hanging out at home with his family, eating lots of green vegetables and getting cuddles. 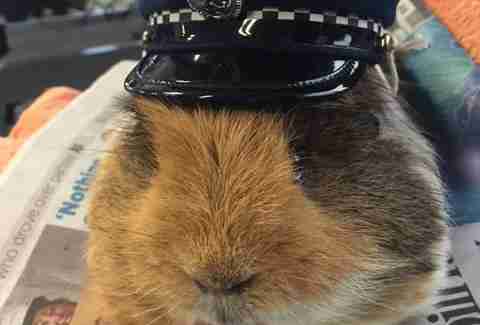 Everyone with the New Zealand Police loves Elliot and hope his cuteness and charm will help spread messages of safety.